In an exclusive partnership with Engaging Places LLC, Amazon.com has introduced a “Dash Button” for historic sites and house museums. Dash Button is a simple one-touch button that can be placed in your kitchen, bath, and laundry where you store your favorite products. When you’re running low, simply press the Dash Button and Amazon delivers your household favorites to you so you can skip a last-minute trip to the store. This innovative technology can be used for a variety of services, not just products, and Amazon and Engaging Places is launching Dash Button specifically for house museums and historic sites. 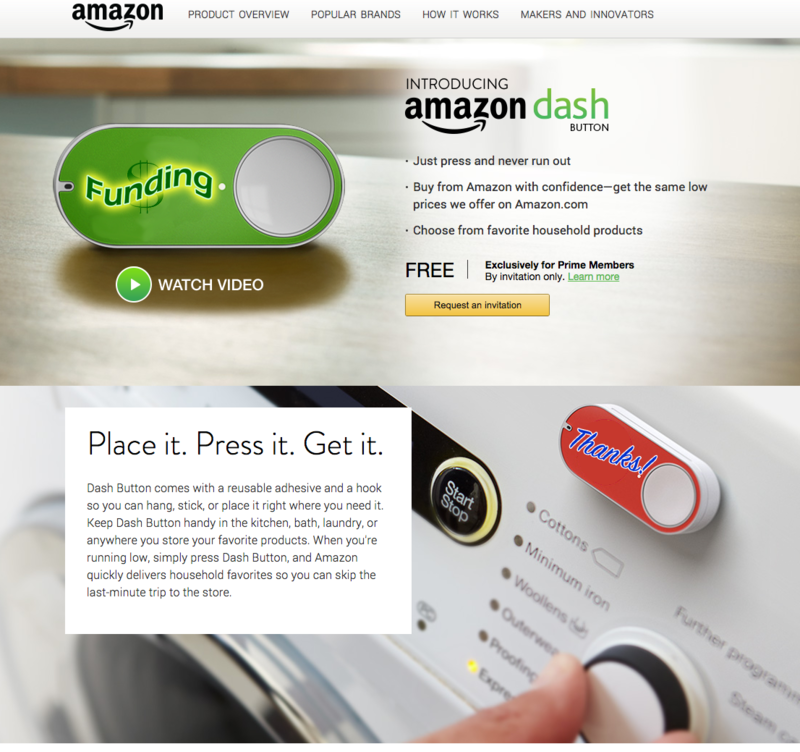 In the last year, the Dash Button has been field-tested with a variety of organizations to immense acclaim. If you have a great idea for a public program or need to replace an old roof, you’ll want “Funding.” No more application forms! If you’ve finished a big weekend event, worked a holiday, or washed the museum’s tablecloths at home for the hundredth time, you’ll want “Thanks!” Maybe two. Other Dash Buttons are under development based on the needs and interests of field, including “Patience” and “Now.” At this time, Dash Button is exclusively for clients of Engaging Places by invitation only. Learn more. This entry was posted in Community engagement, Fundraising and tagged April Fool on April 1, 2015 by Max van Balgooy. Happy April Fool’s to you too!! Max, how about a “panic” button that rings your phone whenever someone is in crisis. I’d like a “volunteer” button, please, as well as the aforementioned options! Can I request an “eject” button for annoying people in my office?